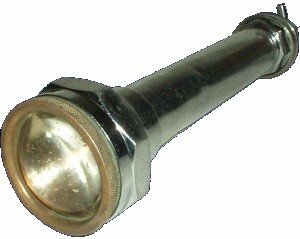 This is a simple torch made of brass and chrome plated. It features an on/off switch, and has a lens to focus the light - this is fixed, the underwater focus is different to that in air. It will take three D-size cells.